The Killer Dwarfs lead vocalist Russ Dwarf is keeping busy these days. The Killer Dwarfs released their second live album Live No Guff! earlier this year and are also scheduled to release their follow up to their 2013 album Start @ One in 2019. 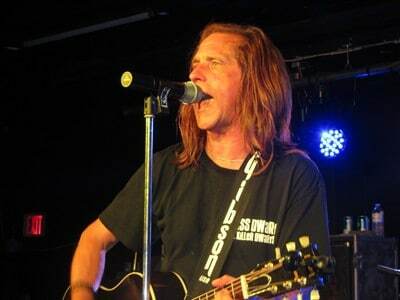 The Canadian band has now announced that its frontman Russ Dwarf also plans on releasing a new solo album in 2019. “Dave Ellefson of Megadeth pointing out his first Killer Dwarfs release Live “No Guff” on his and Thom Hazaert‘s EMP Label Group. Next up re-releases of Start @ One and Russ DWaRf‘s “Wireless” CD (featuring Ron Thal aka Bumblefoot) . New music is currently underway for 2019 releases by both Killer Dwarfs and a new Russ DWaRf solo CD on EMP Label Group.